Biarritz is the historic surfing capital of Europe. In 1957, the American Peter Viertel, husband of the actress Deborah Kerr, was the first to surf the waves of Biarritz. 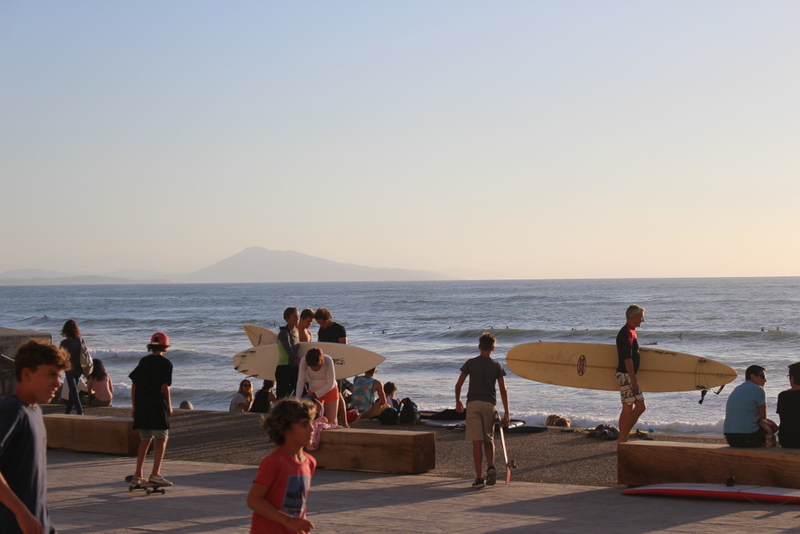 Now known as one of the key surfing locations, Biarritz attracts surfers from all around the world. 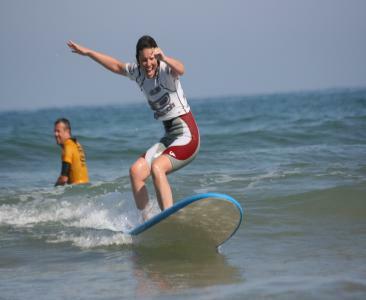 From April to November, 18 surfing schools welcome beginners or experienced surfers alike, for a few hours of tuition or several days. In addition, prestigious surfing brands like Quiksilver, Billabong and Rip Curl, are based around Biarritz. There is accommodation to suit every budget, from inexpensive hotels to holiday rental properties, from the surf camp to Biarritz’s youth hostel. Surfing World Championships was in Biarritz from 20th to 28 th may 2017 from Biarritz Tourisme on Vimeo. 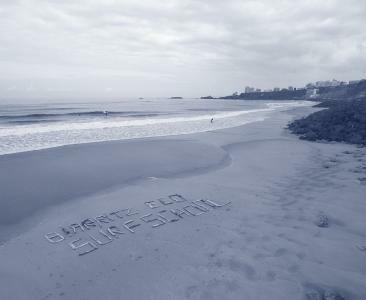 Where to practise: Biarritz, Côte des Basques beach, Basque Coast. Surfing, bodyboarding, longboarding. Beginners’, improvers’ and training courses. 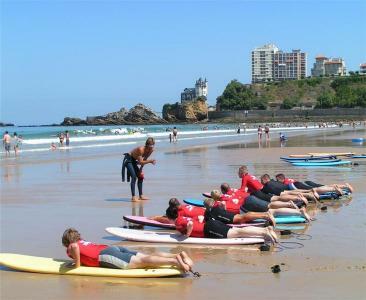 The French surf school Eric GARRY offers you numerous solutions to enjoy the most beautiful waves in Europe: beginners’ and improvers’ courses, paddle surfing.